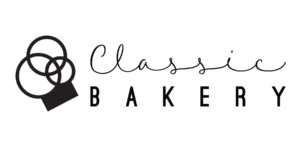 Classic Bakery respects your privacy and will not share your personal information with any other company. We collect and store personal information during checkout and use this information to process your order and to determine how to better serve our customers. We may use your email address to contact you regarding promotions. For your protection we transmit your personal details and credit card information over a secure, encrypted connection when processing payment. We do not store you credit card details in our database. During a visit to this web site we record information such as IP addresses, page views, and the type of operating system and browser software being used. We use this data in aggregate to track traffic statistics and measure the usage of pages which allows us to improve the web site.